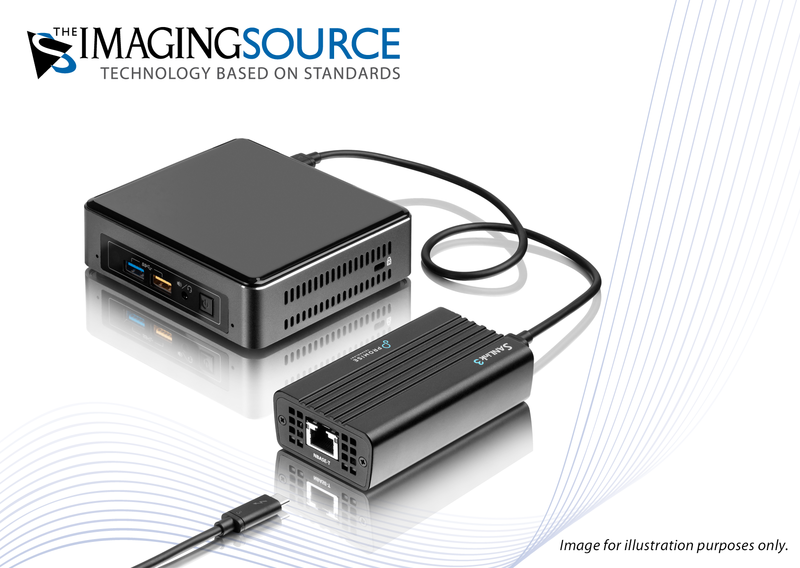 ⋯ (March 8, 2018) - The Imaging Source, international manufacturer of industrial cameras, has just announced the immediate availability of its new software converter, IC USB 3 to 10 GigE. With the new IC USB 3 to 10 GigE software, The Imaging Source makes possible for the first time the transfer of large amounts of image data from one or more USB 3 cameras over a 10 GigE network at full bandwidth. Connected for example to an Intel NUC, the camera's USB 3 data is converted via the software to 10 GigE and transmitted over a fiber or copper connection. The USB 3 camera's image data can then be displayed and controlled from any PC with a 10 GigE or Thunderbolt interface. The software is available for free download with all USB 3 cameras from The Imaging Source. This solution is especially relevant when trying to bridge greater distances while using USB 3 cameras with Sony Pregius and On Semiconductor PYTHON sensors. For the first time, it is possible to achieve full-speed transmission of USB 3 data over Cat6 and fiber cables using the following additional hardware. Hardware described above is commonly available, standard hardware. Included with camera delivery: Software converter, drivers for Windows XP, Vista, 7/8/10, the SDK IC Imaging Control 3.2 (.NET and C++ library) and IC Capture for image acquisition; IC 3D for 3D stereo depth estimation; IC Measure for on-screen measurement; and IC Barcode, an SDK for 1- and 2D barcode detection.